When using the intelligent tester 1. Connect the intelligent tester to the DLC3. 2. 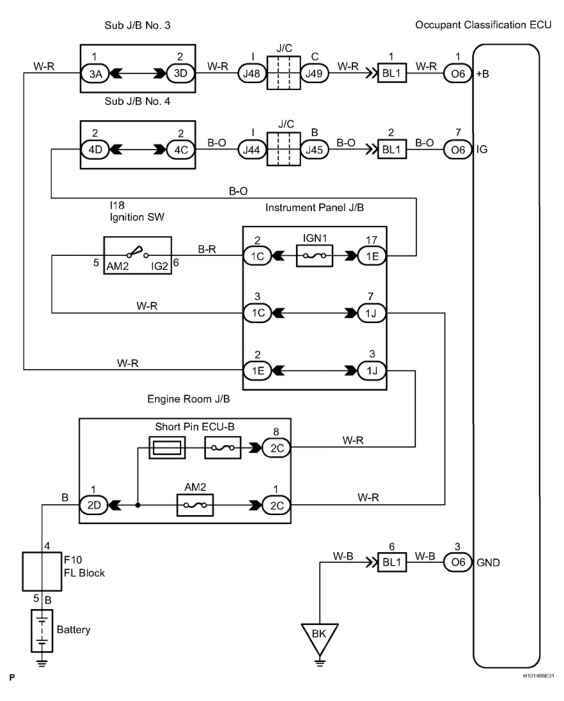 Turn the ignition switch to the ON position and intelligent tester main switch ON. 3. 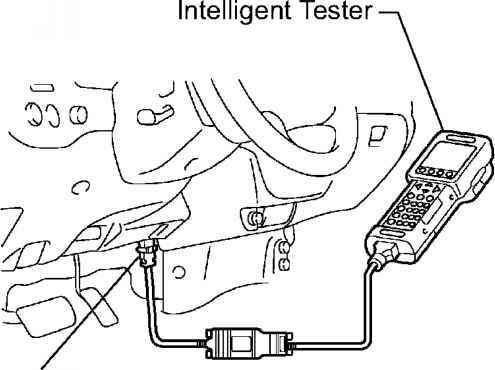 Select the ACTIVE TEST mode on the intelligent tester. 4. 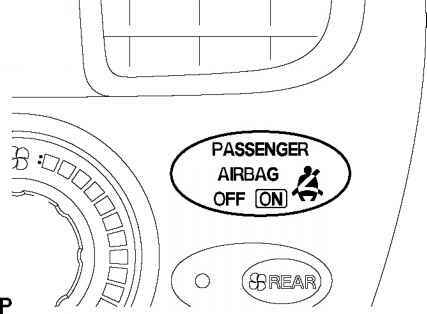 Check that 2 ON and OFF of the ABS warning light can be shown on the combination meter with the intelligent tester. 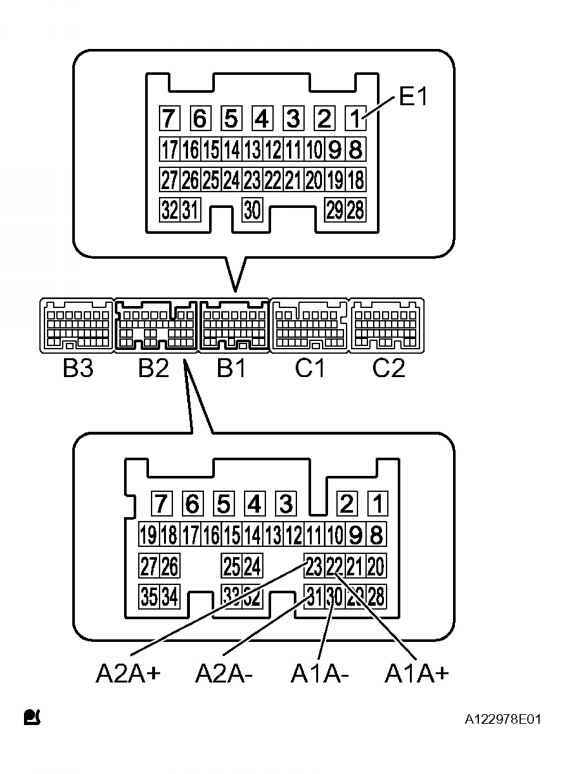 The intelligent tester can be used at steps 3, 4, 6, 7. 3. 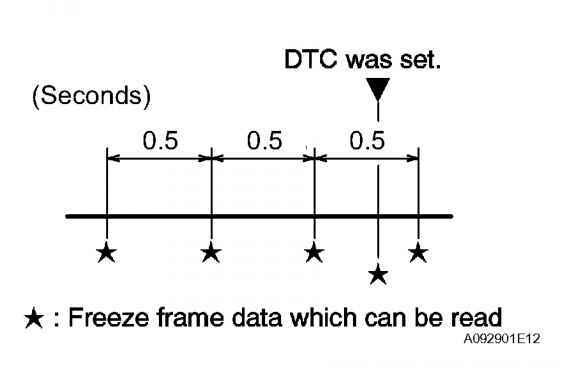 DTCS AND FREEZE FRAME DATA CHECK AND CLEARANCE 4. PROBLEM SYMPTOM CONFIRMATION RESULT PROCEED 4. PROBLEM SYMPTOM CONFIRMATION RESULT PROCEED B PROBLEM SYMPTOM SIMULATION A GO TO NEXT STEP. 5. 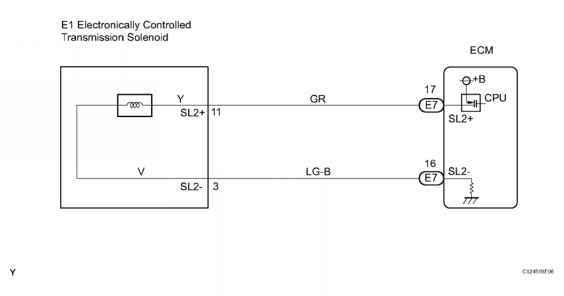 DTC CHECK B PROBLEM SYMPTOM TABLE A GO TO NEXT STEP. 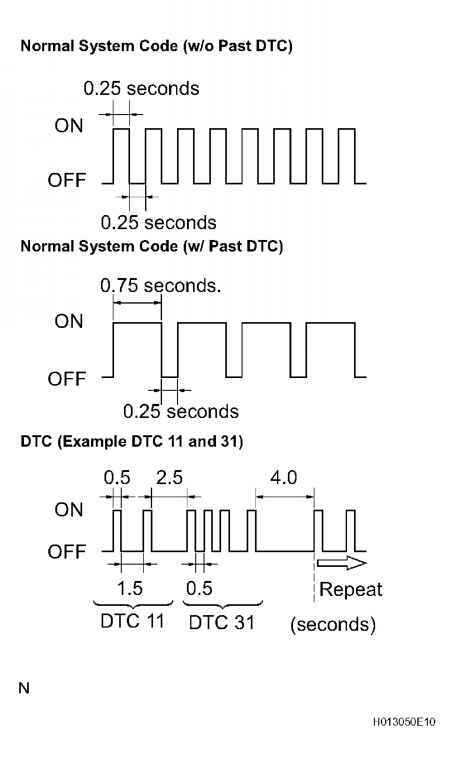 When 2 or more DTCs are detected, perform circuit inspections one by one until the problem is identifies. 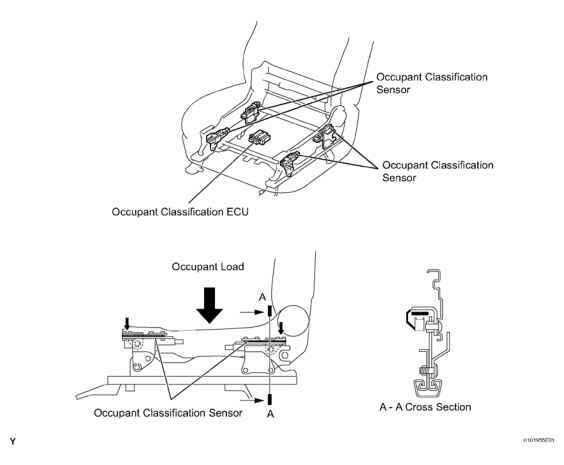 2006 RESTRAINTS Supplemental Restraint System - Sequoia b. Clear the DTCs stored in memory (See DTC CHECK CLEAR ). 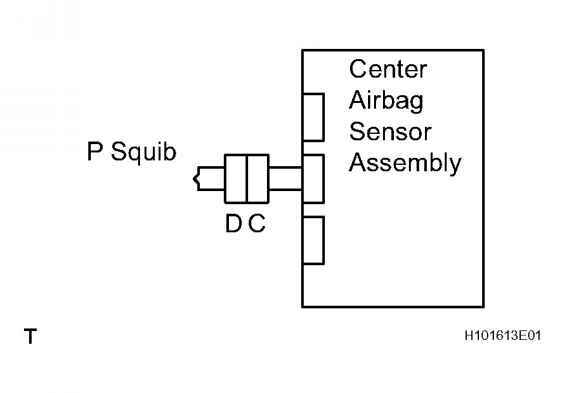 HINT First clear DTCs stored in the occupant classification ECU and then in the center airbag sensor assembly. 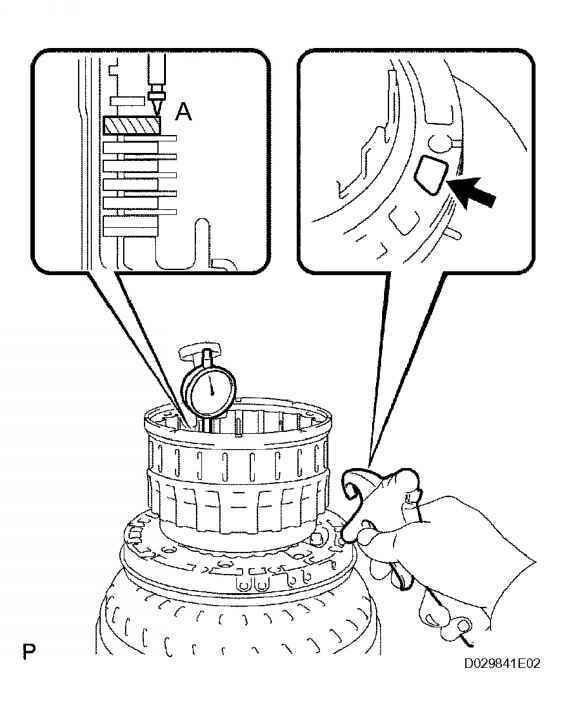 c. Turn the ignition switch to the LOCK position. 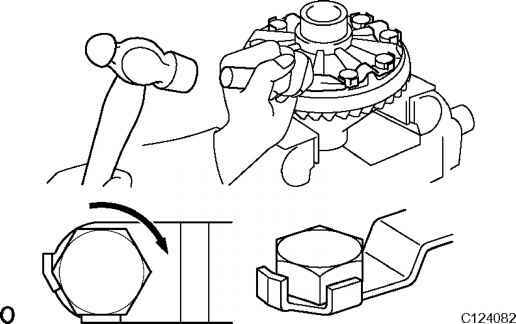 d. Turn the ignition switch to the ON position. 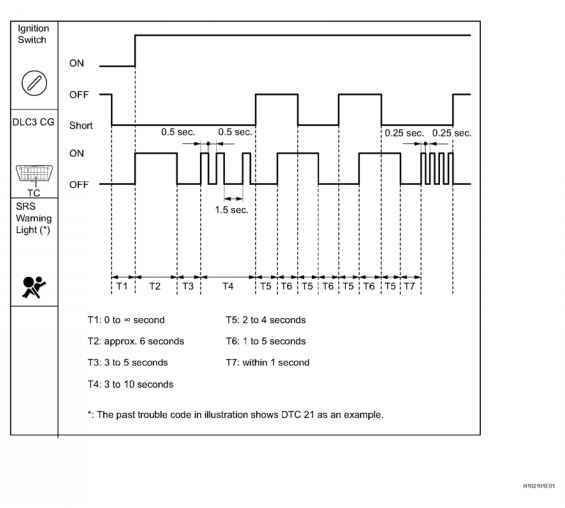 e. Using the intelligent tester, check the DTCs of the occupant classification ECU (See DTC CHECK CLEAR ). 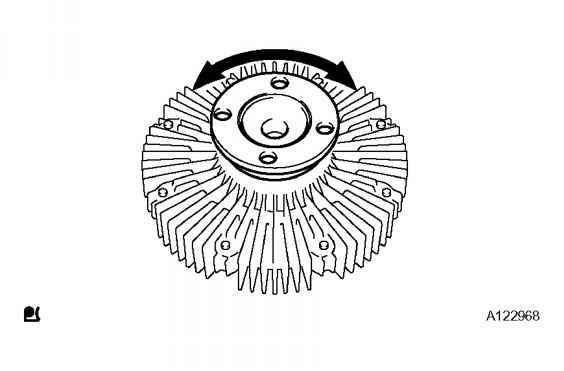 Measure at 3 or more points on the circumference of the ring gear. 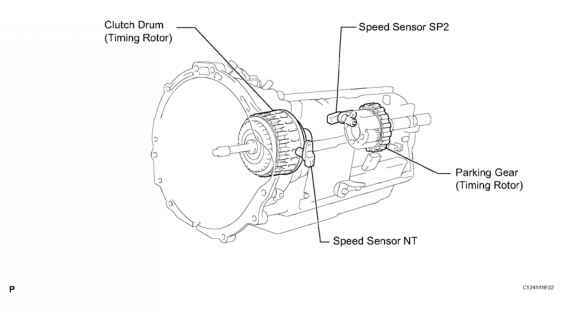 2006 DRIVELINE AXLES Differential - Sequoia Fig. 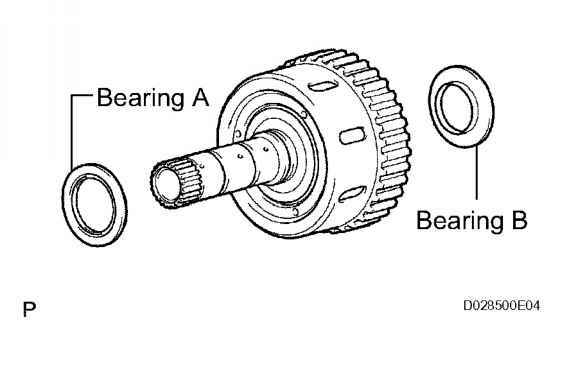 32 Inspecting Ring Gear Backlash Courtesy of TOYOTA MOTOR SALES, U.S.A., INC. Fig. 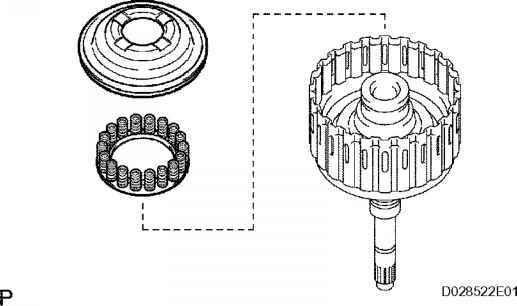 32 Inspecting Ring Gear Backlash Courtesy of TOYOTA MOTOR SALES, U.S.A., INC. 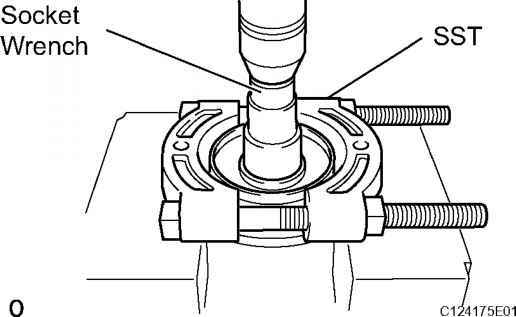 If the backlash is not within the specified value, adjust the side bearing preload or repair as necessary. 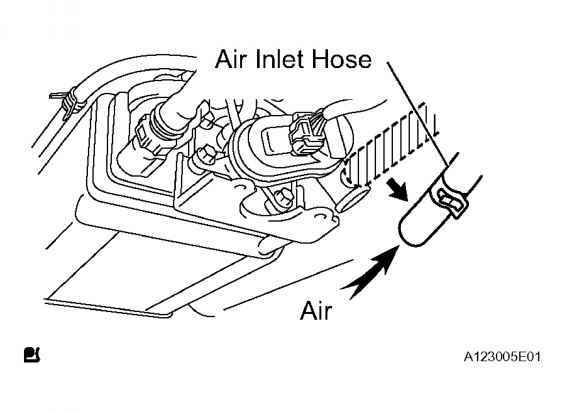 Disconnect the air inlet line hose from the canister. b. Check that air flows freely into the air inlet line. 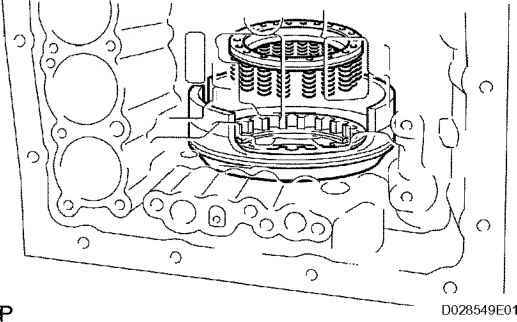 If air does not flow freely into the air inlet line, repair or replace it. 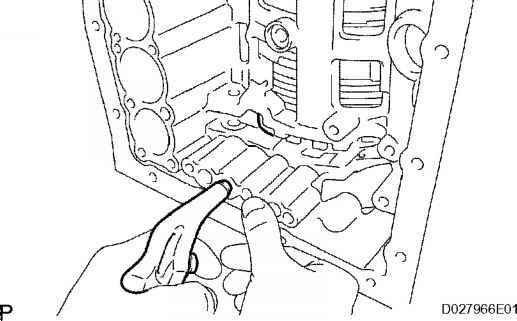 c. Reconnect the air inlet line hose to the canister. Fig. 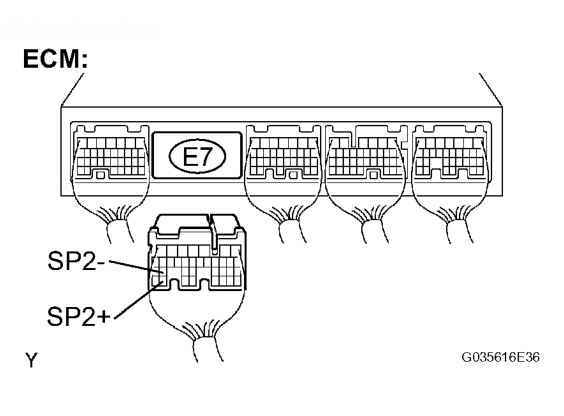 8 Disconnecting Air Inlet Line Hose From Canister Courtesy of TOYOTA MOTOR SALES, U.S.A., INC. Fig. 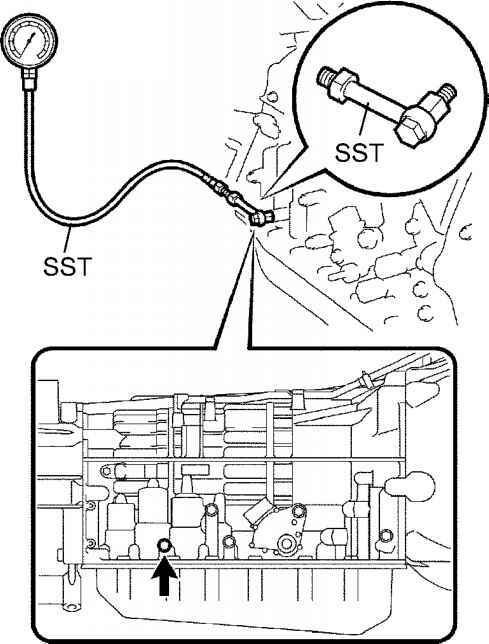 8 Disconnecting Air Inlet Line Hose From Canister Courtesy of TOYOTA MOTOR SALES, U.S.A., INC. 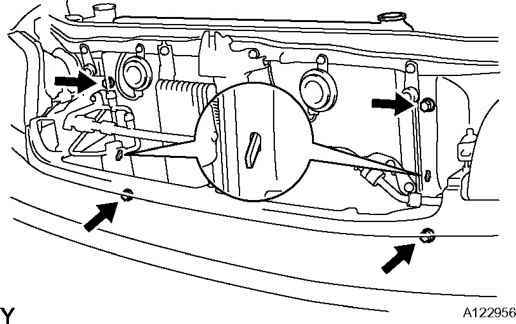 Turn the ignition switch to the LOCK position. b. 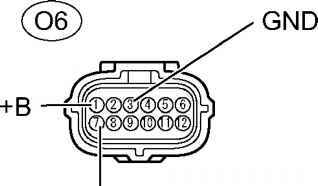 Disconnect the negative (-) terminal cable from the battery, and wait for at least 90 seconds. c. Disconnect the engine room main wire connector from the cowl wire. d. Connect the negative (-) terminal cable to the battery, and wait for at least 2 seconds. 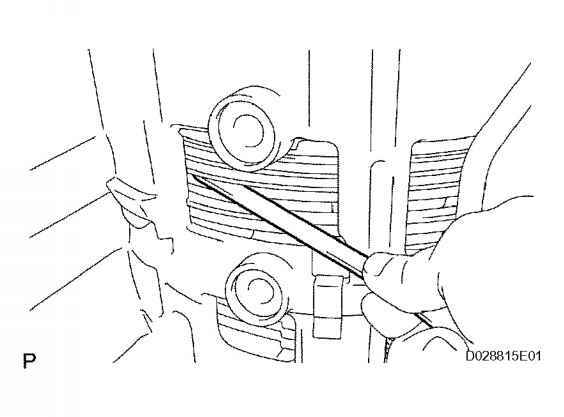 e. Turn the ignition switch to the ON position. 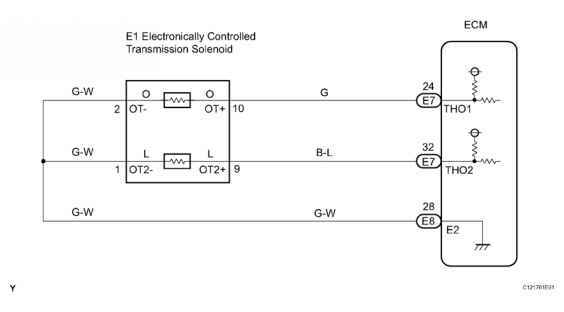 f. Measure the voltage according to the value(s) in the table below. 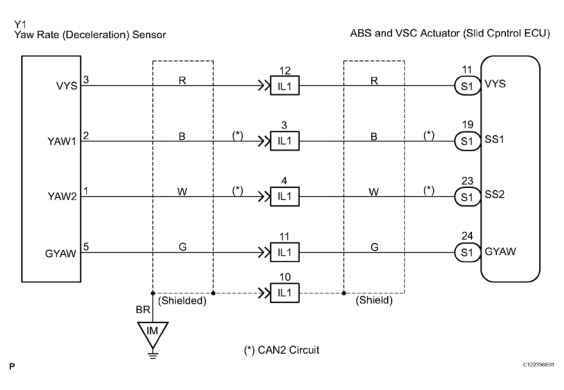 ATF temperature sensor Atmospheric temperature up to approximately 130 C (266 F) Fig. 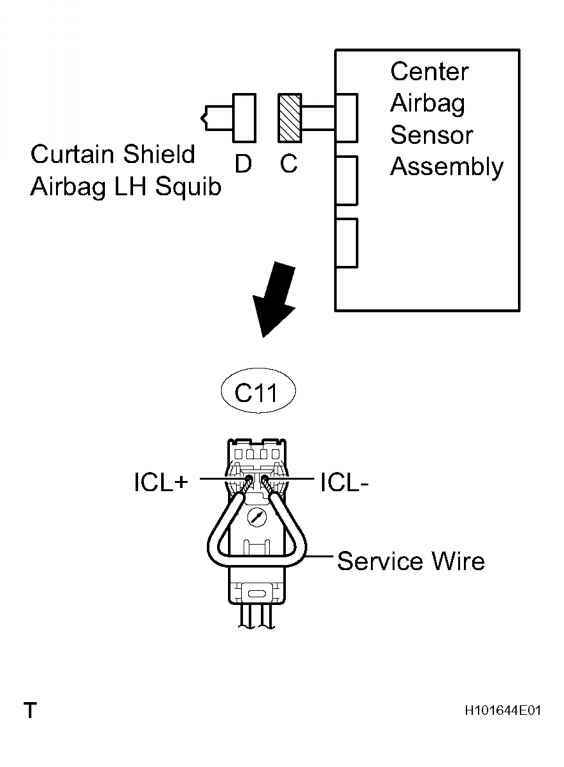 91 DTC P2740, P2742, P2743 - Wiring Diagram Courtesy of TOYOTA MOTOR SALES, U.S.A., INC. Fig. 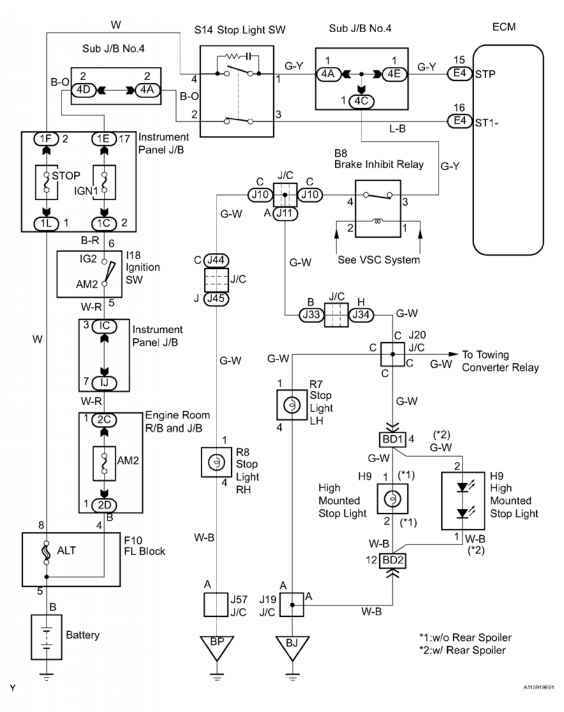 91 DTC P2740, P2742, P2743 - Wiring Diagram Courtesy of TOYOTA MOTOR SALES, U.S.A., INC. 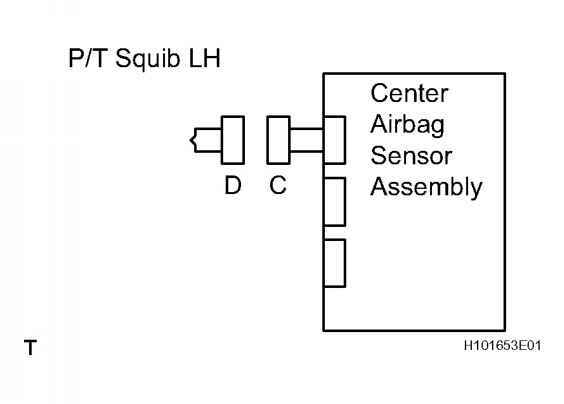 Using the intelligent tester's DATA LIST allows switch, sensor, actuator and other item values to be read without removing any parts. 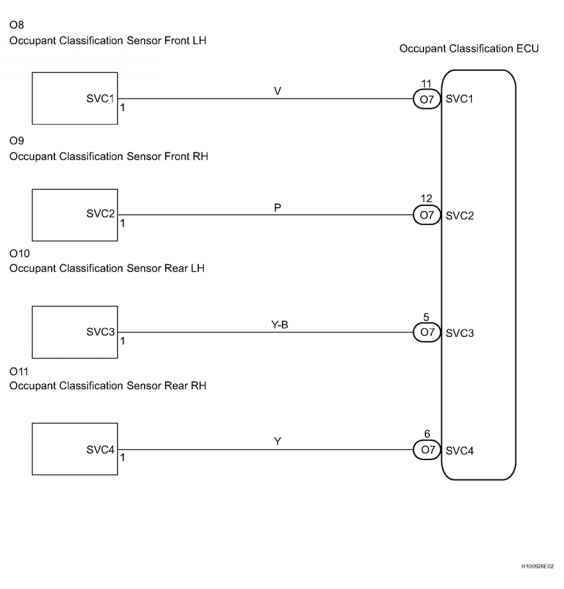 Reading the DATA LIST early in troubleshooting is one way to save time. 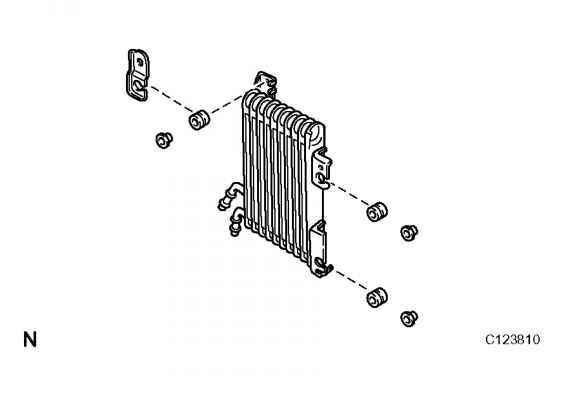 Connect the connector as shown in the illustration. 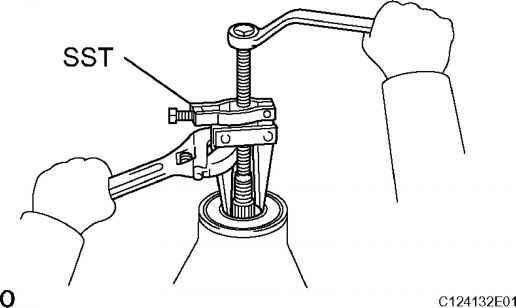 (When locking, make sure that the slider returns to its original position and a click sound can be heard.) 2006 RESTRAINTS Supplemental Restraint System - Sequoia When connecting, the slider will slide. 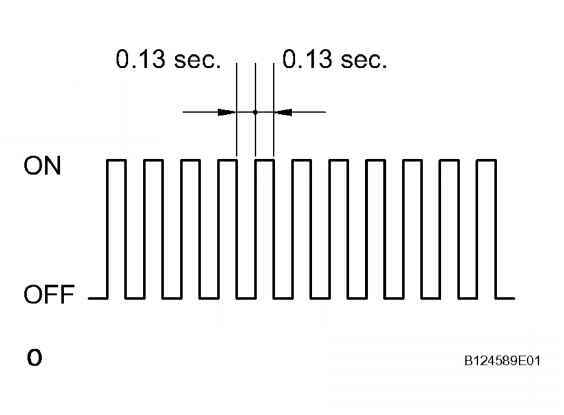 Be sure not to touch the slider while connecting, as it may result in an insecure fit. 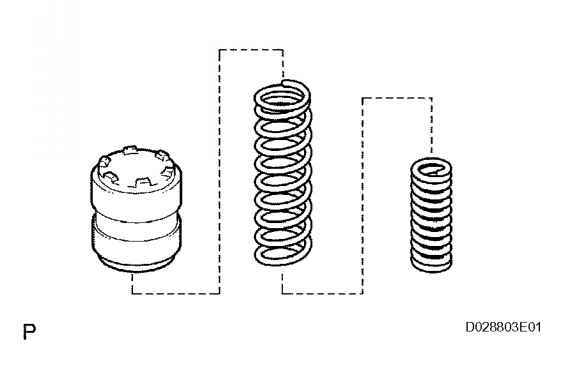 Courtesy of TOYOTA MOTOR SALES, U.S.A., INC. 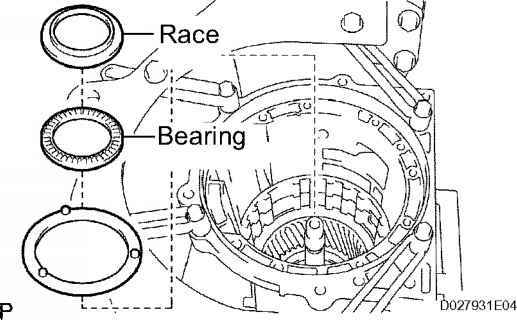 Courtesy of TOYOTA MOTOR SALES, U.S.A., INC. 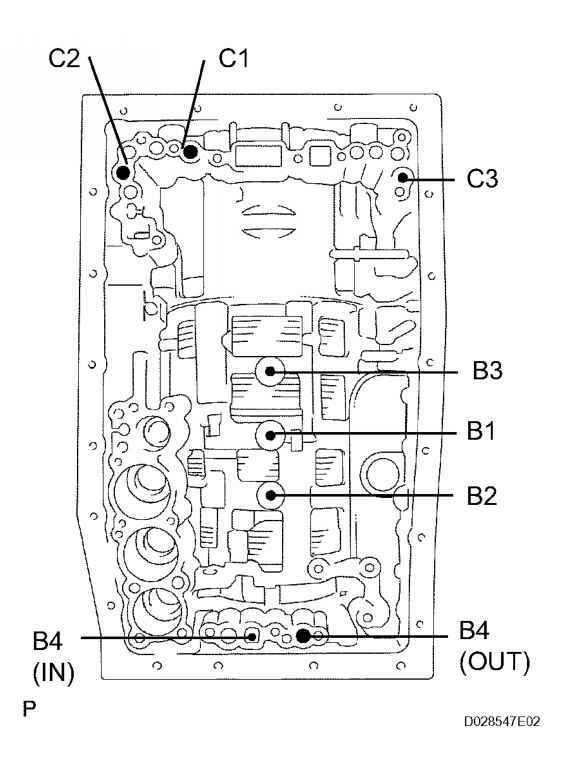 Apply positive battery between the terminals. 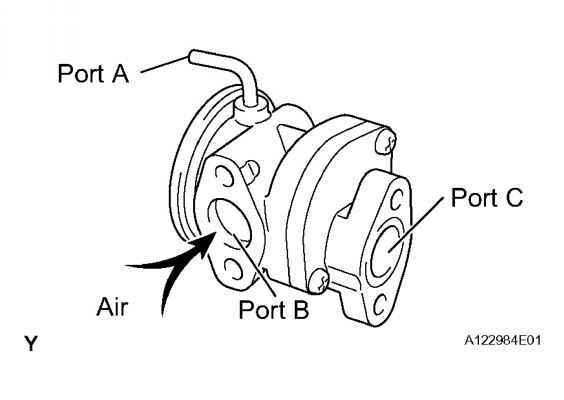 c. Blow air into port A and check that air is discharged from port B. 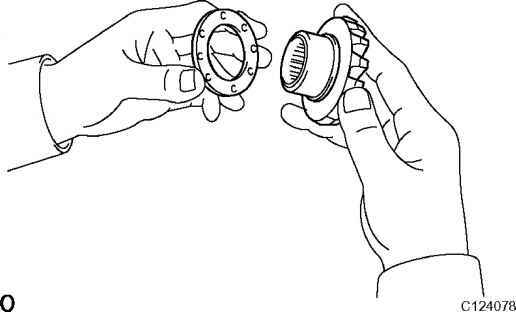 If operation is not as specified, replace the air switching valve. 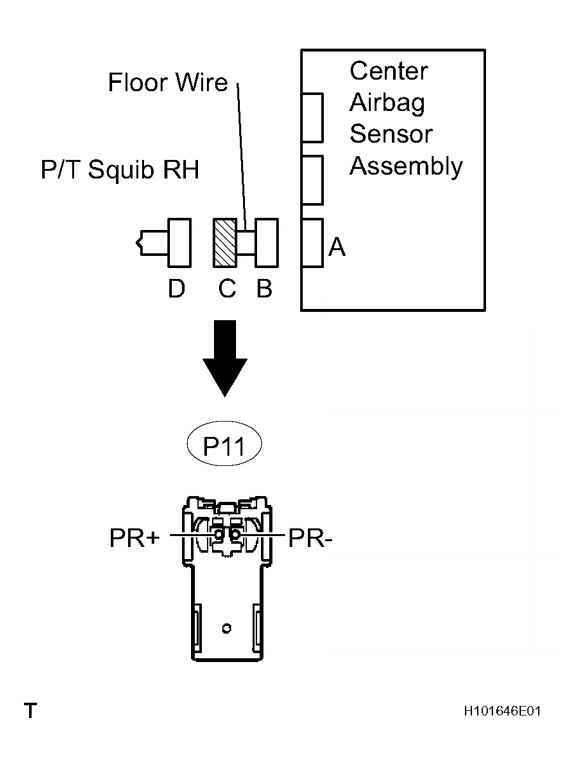 2006 ENGINE Emission Control - Sequoia Fig. 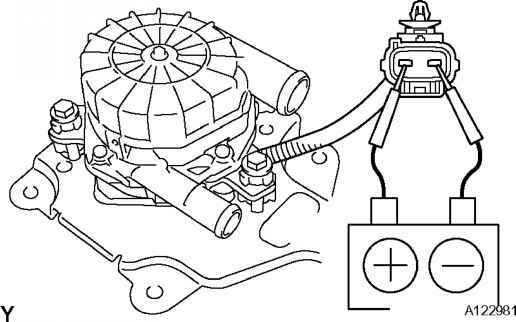 31 Applying Positive Battery Between Terminals & Blow Air Into Port A Courtesy of TOYOTA MOTOR SALES, U.S.A., INC. Fig. 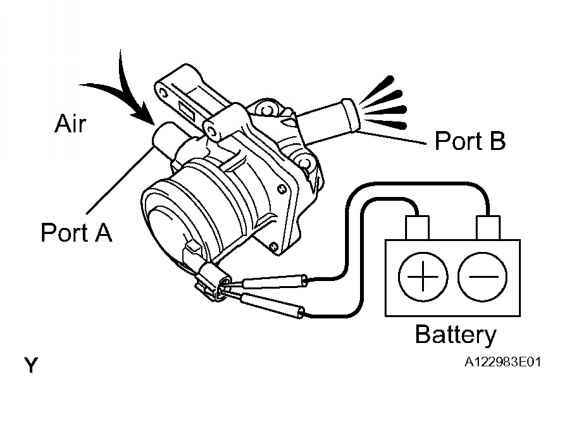 31 Applying Positive Battery Between Terminals & Blow Air Into Port A Courtesy of TOYOTA MOTOR SALES, U.S.A., INC.
2006 TRANSMISSION A750E Automatic Transaxle - Sequoia Fig. 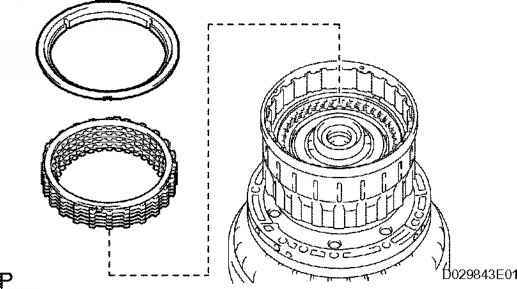 470 Installing Clutch Cushion Plate Courtesy of TOYOTA MOTOR SALES, U.S.A., INC. Fig. 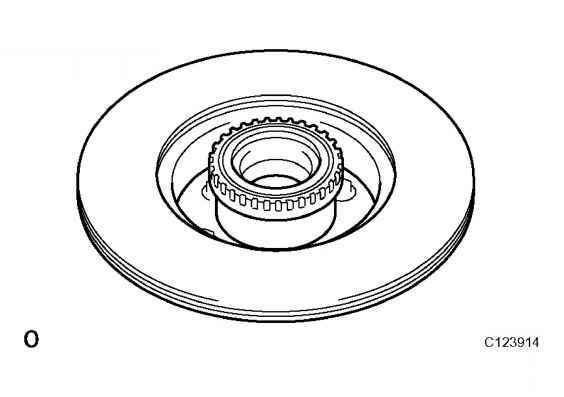 470 Installing Clutch Cushion Plate Courtesy of TOYOTA MOTOR SALES, U.S.A., INC. 20. 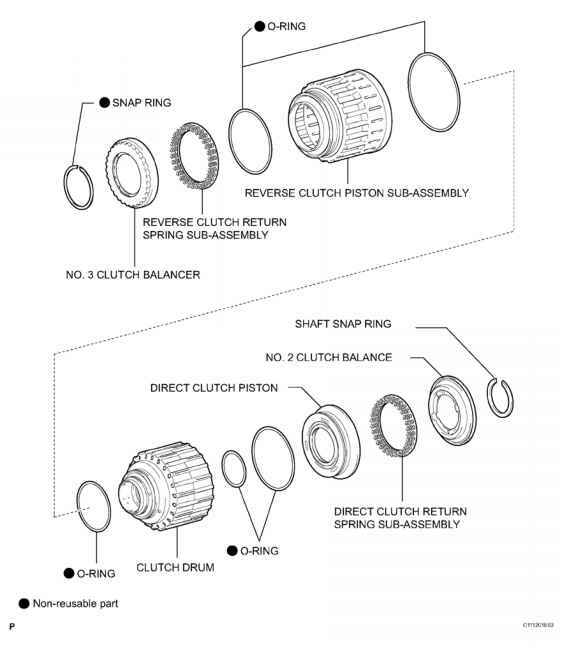 INSTALL REVERSE CLUTCH REACTION SLEEVE a. 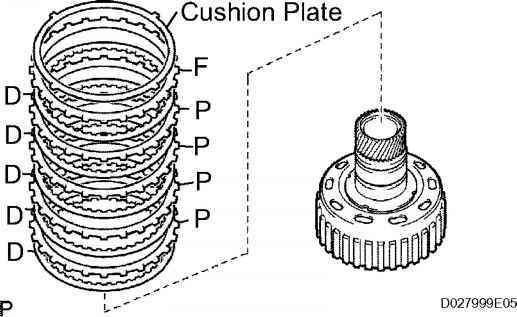 Install the reverse clutch reaction sleeve to the reverse clutch hub. 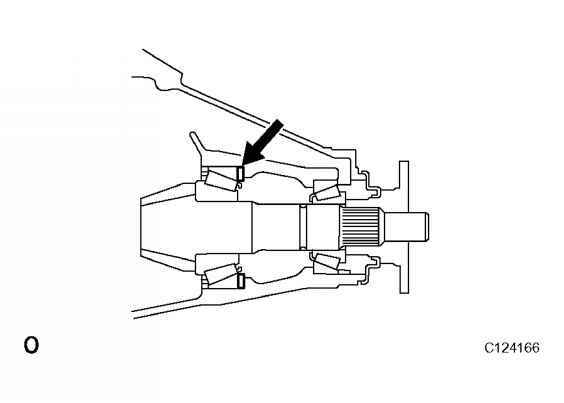 Remove the overflow plug with the engine idling. b. Check that the fluid comes out of the overflow tube. c. Wait until the overflow slows to a trickle. 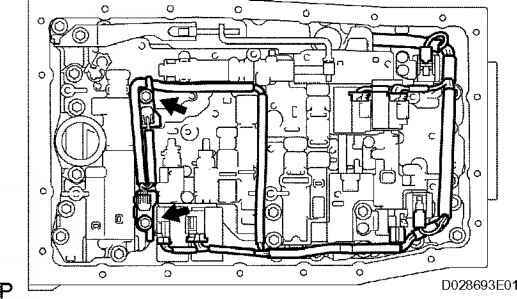 2006 TRANSMISSION A750F Automatic Transaxle - Sequoia Fig. 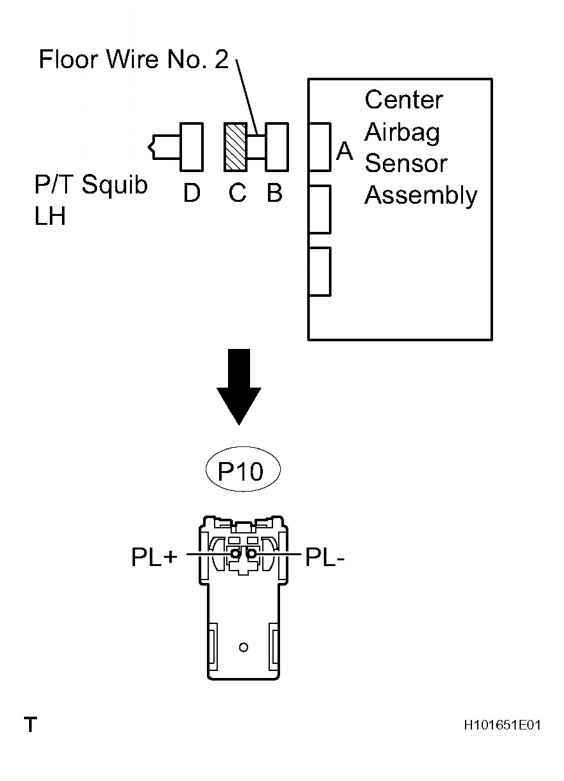 116 Checking Filling Fluid Level Courtesy of TOYOTA MOTOR SALES, U.S.A., INC. Fig. 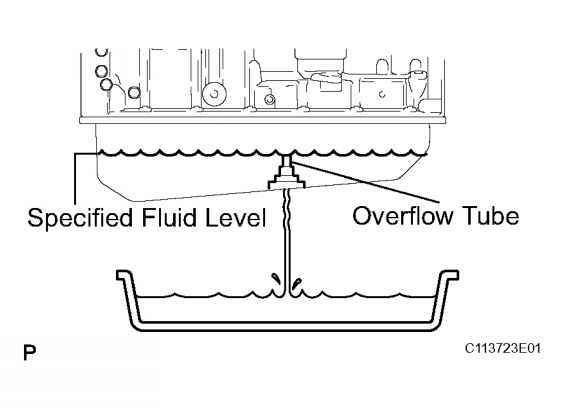 116 Checking Filling Fluid Level Courtesy of TOYOTA MOTOR SALES, U.S.A., INC. 4. Add 0.4 liters (0.21 US qts, 0.18 lmp. qts) of fluid. 7. Wait until fluid begins to trickle out from the overflow tube. 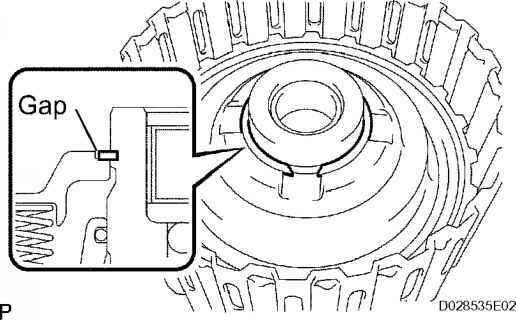 Visually check the air hole and water hole for coolant leakage. 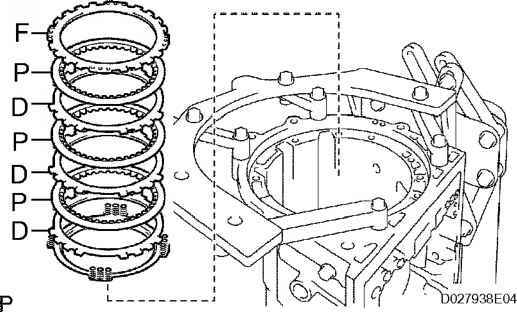 If leakage is found, replace the water pump and timing belt. b. 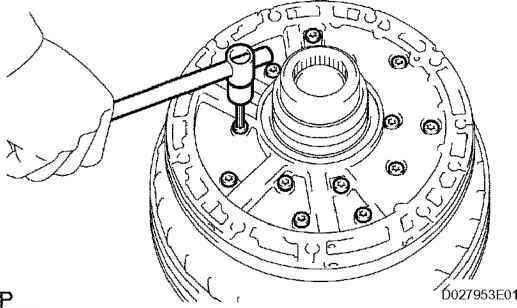 Turn the pulley, and check that the water pump bearing moves smoothly and quietly. 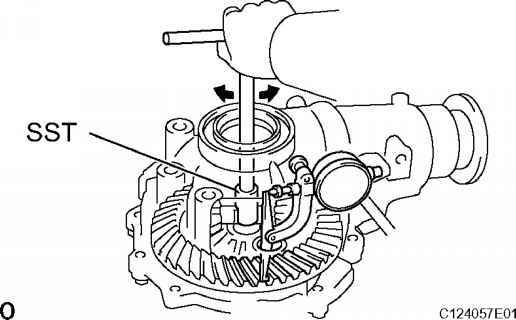 If necessary, replace the water pump. Fig. 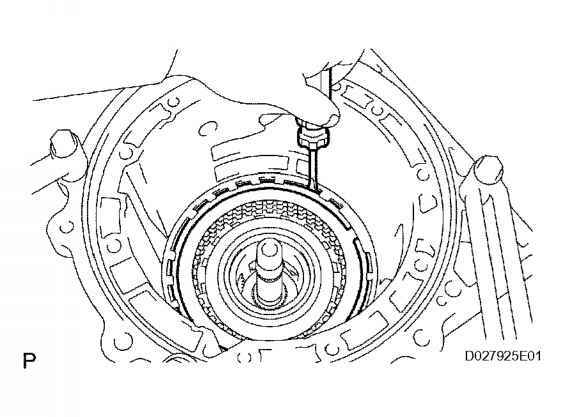 7 Checking Air & Water Hole For Coolant Leakage Courtesy of TOYOTA MOTOR SALES, U.S.A., INC. Fig. 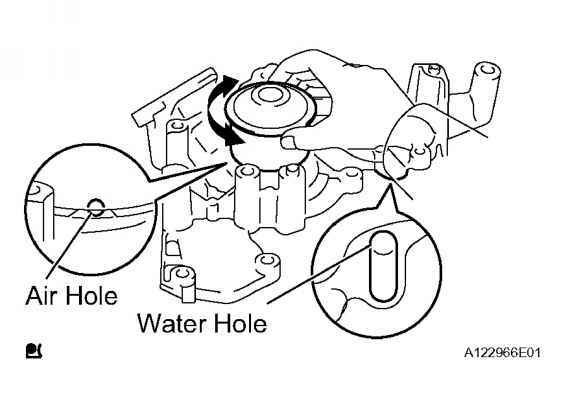 7 Checking Air & Water Hole For Coolant Leakage Courtesy of TOYOTA MOTOR SALES, U.S.A., INC.